We specializes in restaurant and hotel consulting services. Our team has successfully created, designed, opened and operated a multi-outlet restaurant concept. We bring this depth of knowledge and experience to every project and will customize a solution to your unique opportunity. From restaurant start-up, to food concept innovation, to product development, to kitchen management and innovative training methods will result in improved performance at all levels. Our consulting services offer proven restaurant industry best practice solutions for your business. Our complete Institutional Catering solutions include various meal services in the form of buffet meals. The menus are designed keeping in mind the client profile. Our dedicated team makes your personal & corporate parties successful and scrumptious event; with our widespread menu selections from hot dishes & live counter to ready-to-serve dishes & pickup-and-go pan foods. We offer a full complement of catering services to fit your party or event plans. How can anyone resist Cheftoon takeaway?! A marvellously authentic Indian, Tandoor, Chinese Cuisine takeway. 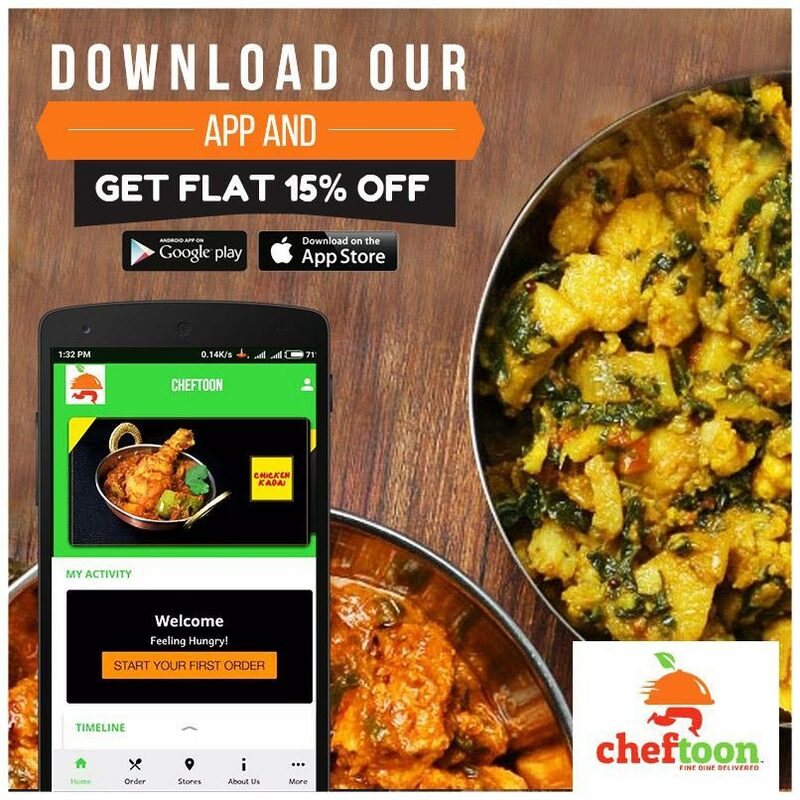 Enjoy delicious Indian, Tandoor & Chinese food delivered to your door step.